It was very sad and shocking news to hear that Chana Yachness passed away on September 29th, 2013. She grew up in the leftist (“linke”) Yiddish circles of New York, loved Yiddish culture and was a wonderful link to that world. She was beloved by all and this week‘s contribution to the Yiddish Song of the Week is in her memory. 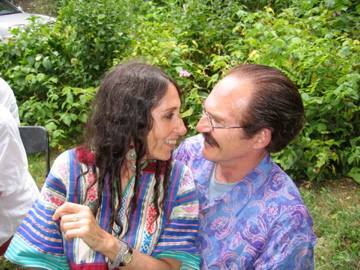 Chana Yachness and her husband, Ted Haendel. Her mother Rukhele Barak Yachness was a fine Yiddish singer and actress and in this recording (which I recorded in the Bronx, 1999) they sing together a revolutionary folksong In dem vaytn land Sibir that can be found in the volume of Moshe Beregovski’s writings and transcriptions edited by Mark Slobin, Old Jewish Folk Music (1982, see below). 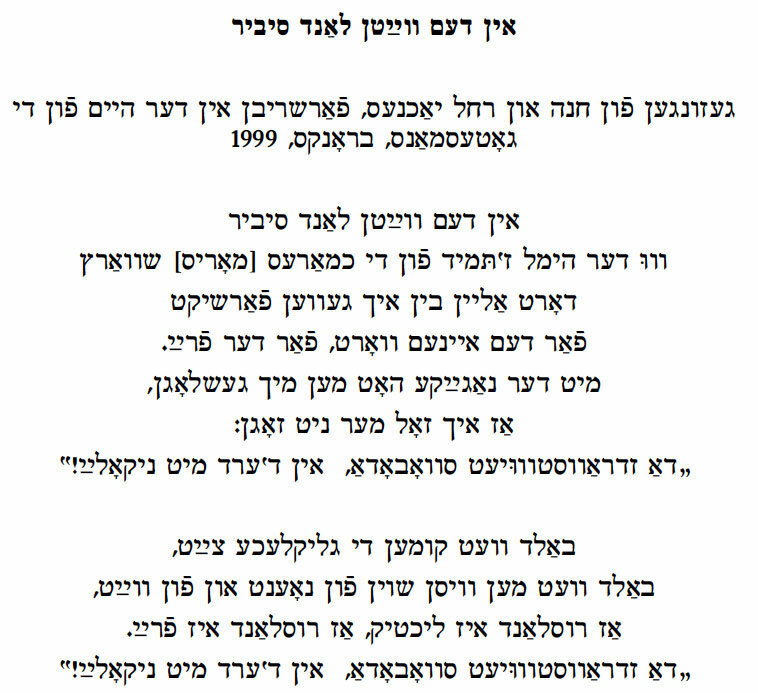 It‘s obviously not a perfect recording with bantering and joking – Chana sings the name of Yiddish actor “Maurice Schwartz‟ instead of “khmares shvarts‟, but it is the only recording I can find of the song. Their spirited interpretation gives one the sense of how a Yiddish revolutionary song used to be performed, especially by Jewish choruses. 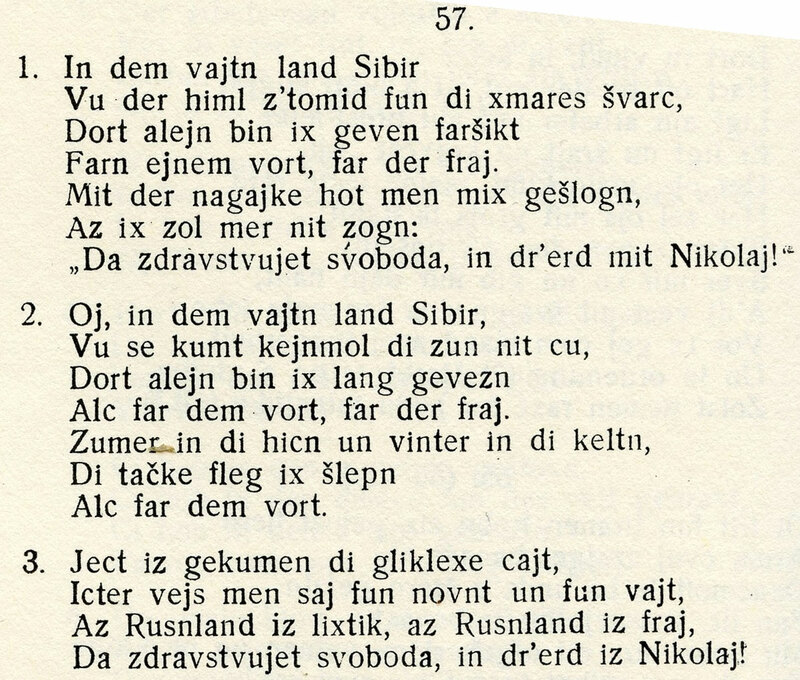 Note that in the Beregovski volume there is a second verse; Chana and Rukhele sing the first and third. The West Coast musician Gerry Tenney had long planned with Chana Yachness to produce this operetta again; see Hershl Hartman‘s post on A Bunt mit a statshke on the email-list Mendele from 1997.
for one word – for freedom. that Russia is bright, that Russia is free. A powerful song lamenting the horrors of war. A soldier lies wounded in the hospital and writes to his mother and fiancé. This recording is from Ruth Rubin’s field recordings courtesy of Lorin Sklamberg and the YIVO Sound Archive. It was recorded in 1955 in Montreal. The singer is named Harry Ary, he is the same singer who sings “In Droysen iz Finster” from Ruth Rubin’s “Jewish Life: The Old Country” LP of field recordings. I love his delivery and especially the very slight differences between each verse. He may be my favorite male singer on that record. 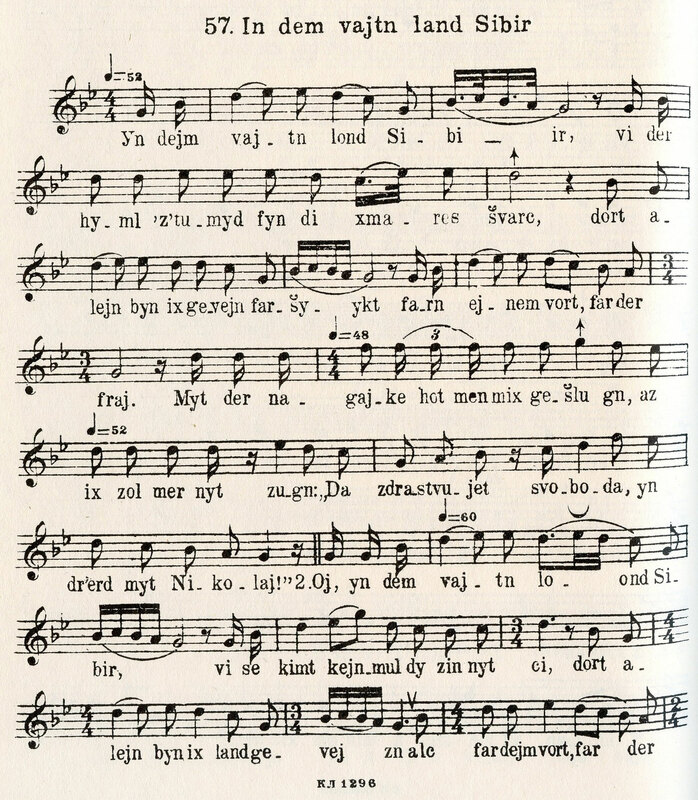 Note the difference in the opening phrase on the first, and later verses; at the beginning of the second and third verses, he sings a sharp fourth instead of the natural fourth. On the second and third verses, when he repeats the last two lines, I especially like the different way that he treats, “mayn harts” and “mayn kale.” The variations have very much the same shape, but are sung varied slightly each time. Also his final cadences at the end of each verse are of particular interest to me, for he sings almost a quarter tone sharper than a flat second (in the mode), and this is of course intentional. 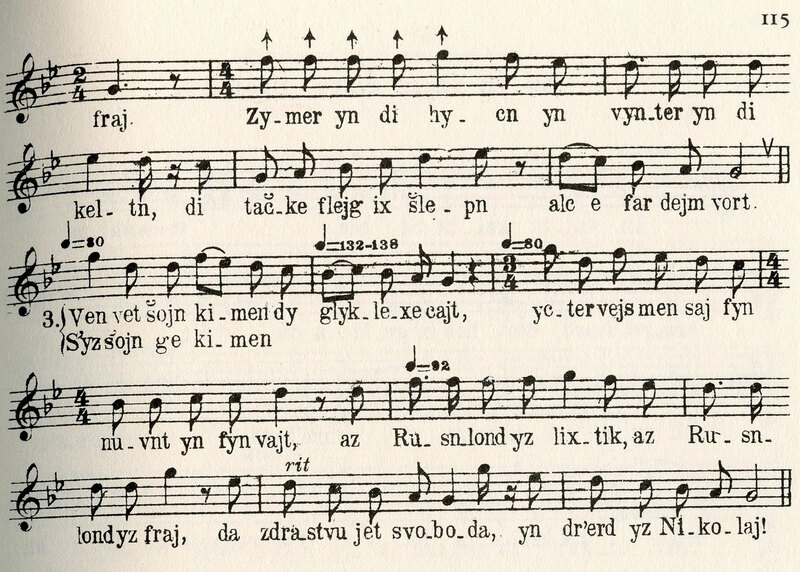 This difference in tuning is often overlooked in transcriptions and re-interpretations of folk sources, however these controlled variations in pitch are what make this singer particularly interesting. And in both eyes, Mamenyu, I am blind. My dear Mamenyu is not near me. And go with someone else to the khupe.